Unleash your body’s hidden power to thrive. Pre-Order Glow15 NOW. Get the Glow Kitchen Recipe Book Free. Harness the power of “Autophagy” to look and feel younger. Based on Nobel Prize winning research, learn to boost your body’s innate ability to heal, and glow, from within. An innovative combination of intermittent fasting and protein cycling to lose weight effortlessly. Feel more alert and focused. Achieve more throughout the day. Take action to prevent future sickness. Stay at your very best. Build your muscle. Build your confidence. Get glowing, ageless, revitalized skin. Take on the world feeling powerful within. Named by Prevention the nation’s leading female innovator in the natural products industry, Naomi Whittel is hailed as a trailblazer in the wellness revolution. In her quest, Naomi has traveled around the world and back again from the cacao fields of Coastal Panama to the wet markets of Beijing to the vineyards of Bordeaux and beyond. Throughout her expeditions, she stays true to her mission: to immerse herself in the world’s healthiest cultures; to touch, to feel, and to learn about the ingredients that keep them healthy. 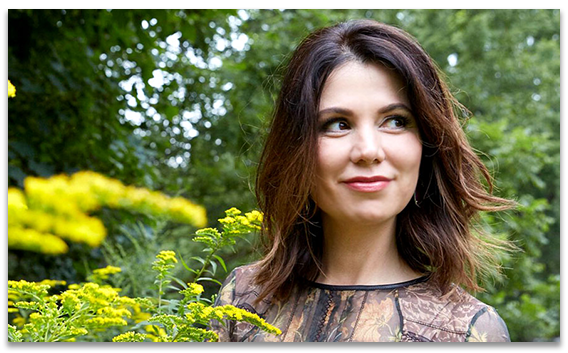 Marrying nature with science, she unlocks the possibilities of these ingredients with her unprecedented access to the world’s best scientists. 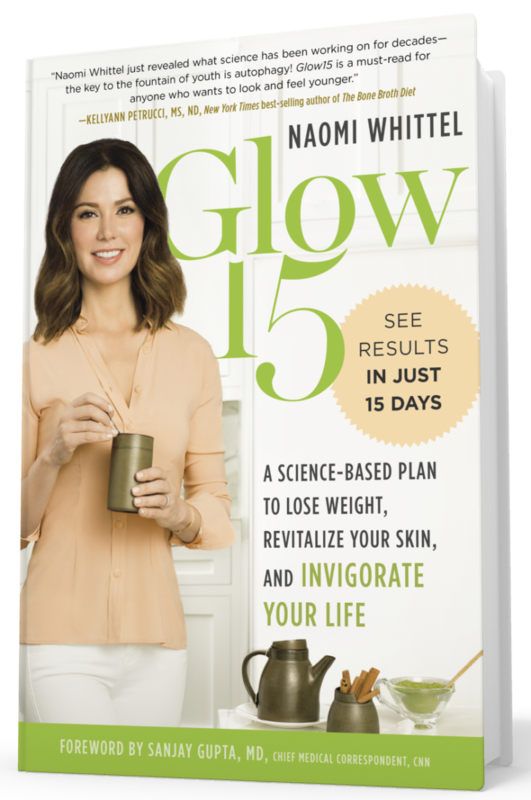 Her latest breakthrough on autophagy is featured in her new book, Glow 15, available in Spring 2018. Pre-order Glow15 and get your “The Glow Kitchen” recipe book! pre-order Glow15. 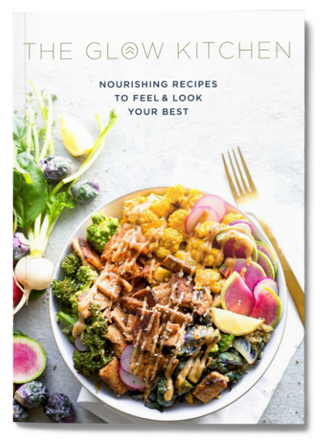 Enjoy nourishing recipes to feel & look your best! Learn Inspiring Recipes… Empower yourself to feel as good as these delicious meals taste! Unlock Powerful Ingredients… The knowledge of nutritionists from around the world, right there in your kitchen! Quick & Easy Changes Today… Everyday wellness has never been so simple, or tasted so good! HOW TO CLAIM YOUR FREE RECIPE BOOK! Submit the form below and relax. Your free gift will arrive shortly after. 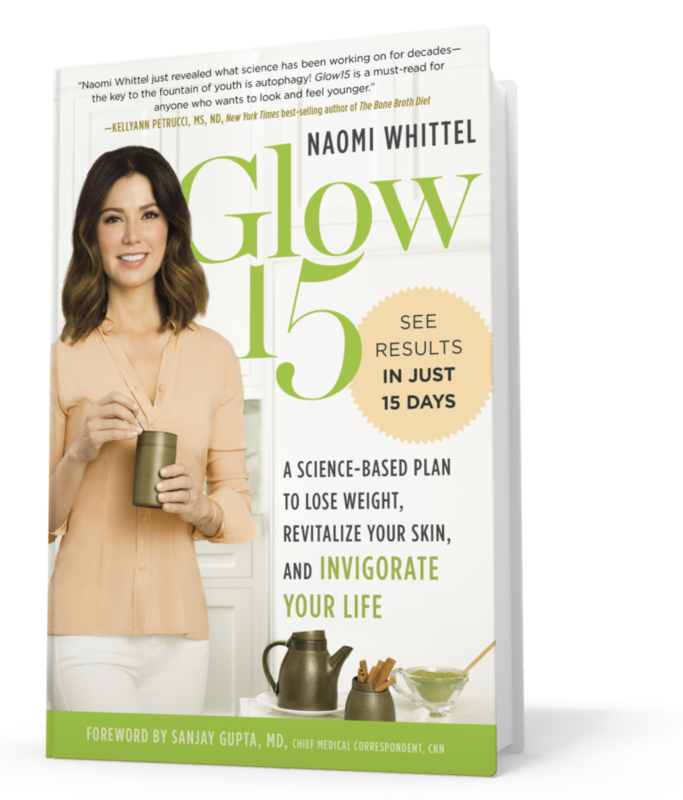 Glow15 takes into account every aspect of your lifestyle so you can seamlessly incorporate the plan into your bust life.